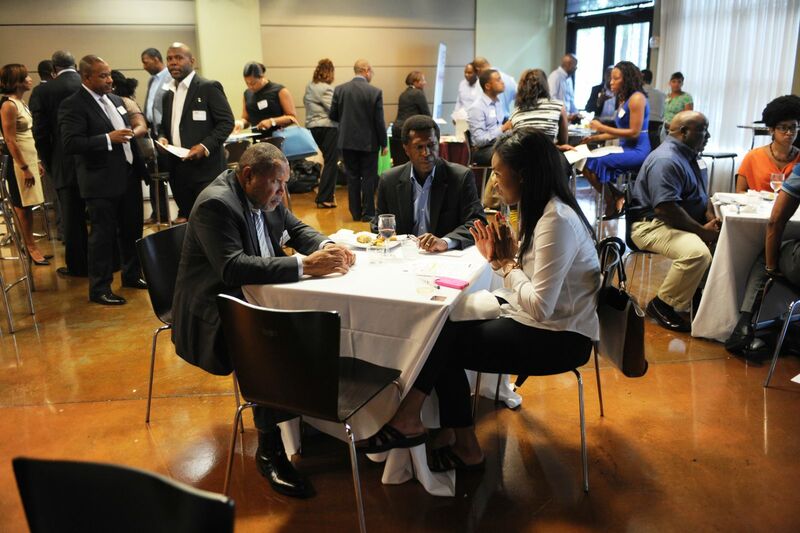 The Atlanta Chapter is one of 11 AABE® chapters in the Southeast Region with 125 members comprised of employees from ~20 companies. The Membership Committee helps strengthen the organization by recruiting new members and retaining current members to ensure the viability and growth of the organization. Our member companies include (but are not limited to): AGL Resources, Benton-Georgia LLC, City of East Point, Colbert Construction, El Paso, GE Power & Water, Georgia Natural Gas, Georgia Power, Georgia Tech, Gray Group Holdings, Georgia Natural Gas, Greystone Power Corp., KHAFRA Engineering, Institute of Nuclear Power Operations, SCANA Energy, Siemens Energy, SouthStar Energy, Southern Company Services. Membership is open to anyone supporting the mission of AABE. Qualifying members include (but are not limited to) management employees and executives that are involved in the energy industry (production, exploration, distribution) in all its facets (electricity, natural gas, petroleum, renewables, legislation, architecture, engineering and consulting) that live and work in the middle to northern region of Georgia. College students at accredited Georgia institutions with majors in applicable energy-related fields are eligible to become members.